It is incredible how much smiling can have an impact on both yourself and those around you. Smiling is known to improve a person’s mood and attitude, while also spreading happiness to others. A person who smiles regularly experiences many emotional and physiological benefits, including lower blood pressure and stress levels and increased endorphins. Smiles offer countless health benefits for an individual, but did you know that a smile has the potential and power to save lives? Who knew that smiling can be an effective way of saving someone’s life? 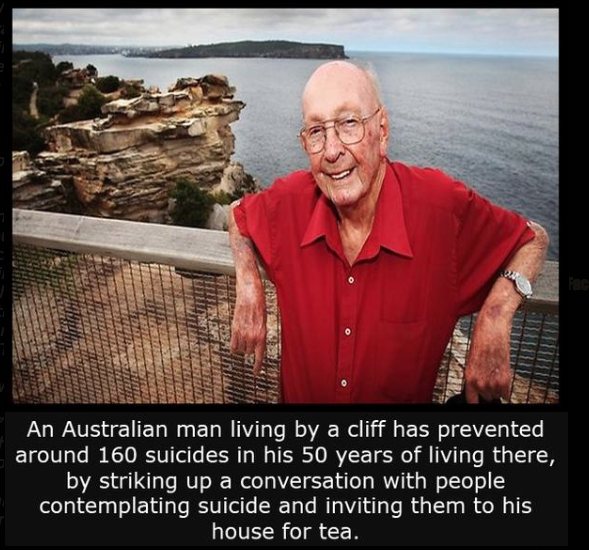 A perfect example of this is in the story of Don Ritchie, known as the “Australian Angel.” For nearly 50 years, Don lived just across the street from the ocean cliff known as The Gap, located just east of Sydney. While The Gap is a popular tourist destination, it is also notorious for its regular suicides. An estimated 50 people commit suicide every year, making it the most popular suicide spot in all of Australia. 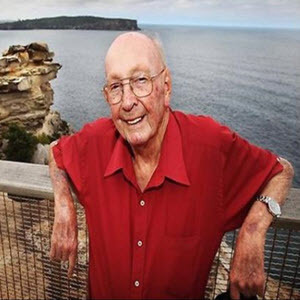 When Don looked out his window and spotted someone standing near the edge of a cliff, he always went out to approach them. He didn’t say much or try to grab them, he simply offered them a smile and asked them to come back to his house for breakfast and tea. His calming demeanor, combined with his soft smile often had the power to prevent distraught people from following through with suicide.